I’ve never been much of a MOBA enthusiast, but I did watch a few hours of the Dota 2 international championships last weekend. In an effort to lure in players like me who either find the entire genre a bit overwhelming, or don’t have a major competitive streak, Strife is offering fewer hero options, more streamlined and open (visually less cluttered) world, and things like pets and crafting. They’re also aggressively trying to combat poor or negative player behaviors (smack talking, last-hitting a mob to score the gold, etc.) via their karma system and some changes to core game mechanics in an effort to reward and encourage being a team player. According to S2, Strife is “the first, second-generation MOBA” since they launched Heroes of Newerth (HoN) nearly three years ago. My team is struggling. We’ve managed to hold our own after a nasty fight in the bottom lane, but then a message appears on my screen: Krytos is coming. The team at S2 Games had warned me about this giant ape and his tower-neutralizing, minion-stomping abilities. But there he was with the enemy team following in his wake. 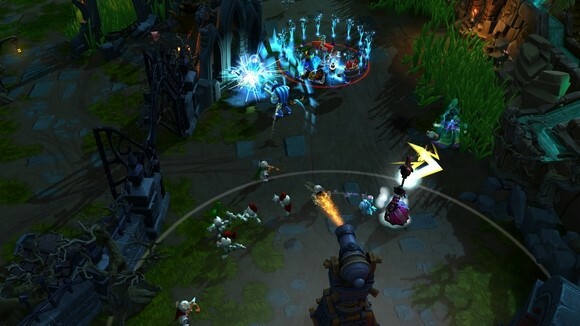 This is Strife, the new free-to-play MOBA from the company that created Heroes of Newerth. 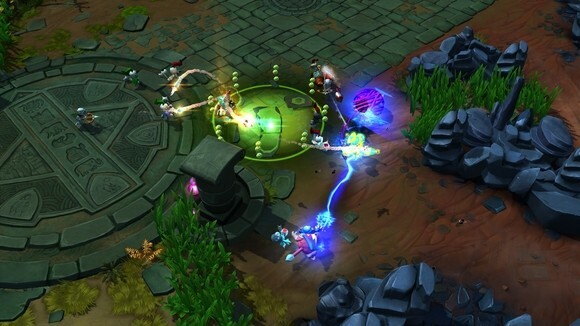 The three-lane-based gameplay might look familiar from the top down, but a giant ape is just one of many interesting mechanics Strife is utilizing to help create a more enjoyable and flexible MOBA experience. Oh, and did I mention the pets and the crafting? The first thing I noticed about Strife during my preview was the map and art design. 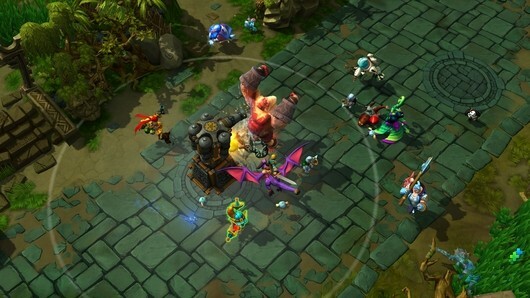 The map itself is smaller than the traditional maps found in other MOBAs and is separated into four unique sections, each with its own theme. Jessie Hayes, Executive Director of Art at S2, says Strife is designed to encourage quick bonds and recognition through clean and memorable looks. The themes of jungle, swamp, caves, and graveyard help players, and potentially spectators, easily identify where the action is through zone recognition. Among other differences are the map’s more open design and the addition of ward-like observatories. Hayes says the map design was intentional to help create a more arena feel that ties back to the game’s lore. During my match, I found that moving from one place to another did feel easier without sacrificing too much of the difficulty or strategy I’m used to in MOBAs. The new observatories, a temporary name, serve as points that light up the map and reveal enemies each time you claim them as your own. When I ran by one observatory, it gave my entire team visibility of the region until an enemy player clicked by moment later. The mechanic arguably makes warding easier but adds some additional depth as claiming observation towers from the enemy also reveals a player’s location. There is also Krytos, the giant ape. Krytos is similar to the Baron buff in that he is meant to help a powerful team push and end the game. In my case, the enemy team freed Krytos by killing the powerful NPC imprisoning him. The ape rewarded the team by randomly spawning in a lane, charging forth to soak up tower and minion aggro. Krytos was by no means invincible, but he did neutralize our tower, which allowed the enemy team to initiate sooner and destroy us. It was unfortunate and awesome. In Strife, you choose your hero before you form a team. This simple mechanic shift is used to help facilitate the game’s matchmaking system, which looks at not only a player’s skill but his skill with specific heroes. As a master of one hero, you’ll be matched more appropriately when you decide to try a hero you’re unfamiliar with. And you will try new heroes because Strife will give you every hero ever released — for free. Strife will have substantially fewer heroes at launch when compared to other MOBAs, but this falls into the game’s design philosophy to make each hero more flexible and allow players freedom to play their way rather than the way. Playing as a support hero, I found my skills helped me push lanes almost as effectively as they helped my teammates snag enemy players. I didn’t have enough time to truly test each hero’s role flexibility, but the dev team is confident players will be able to use the game’s other mechanics to help fill a variety of roles with their favorite heroes. By far the most surprising aspect of Strife is its pets. Each pet serves as an ally that grants the player with bonuses specific to the pet. As I played more with my cute support kitty — at least I think it was a kitty — I earned the pet more experience toward unlocking new passive bonuses and abilities. Earning enough experience will not only level up the pet but morph the pet into a more grown-up version of itself. Essentially, pets are Pokemon that help replace the talent trees found in other MOBAs. The passive bonuses of talents are also made up within the crafting system. Players earn resources as well as experience at the end of each match by selecting one of a variety of chests to open. These resources are then used in conjunction with patterns to customize the items you can find in the store during a match. For instance, a basic blade item that grants 15 attack power could be given the bonus of more health, more mana, more run speed, and so on through crafting outside the match via materials earned. I put more mana on an item outside of game and the item suddenly had bonus mana each time I bought it during a match. These bonuses also have multiple tiers up to legendary that require rarer materials, all earned through playing the game. Anyone who has ever played a MOBA has most likely seen some of the poor behavior stereotypical of the genre. 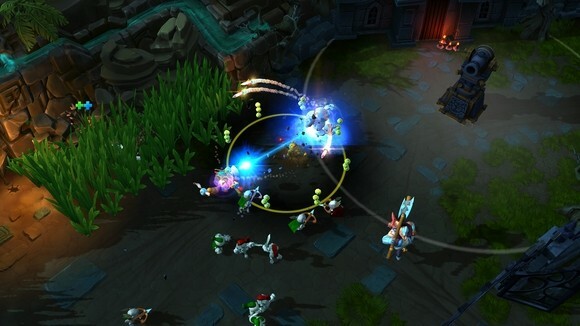 If Strife has a foundation, it’s in designing a MOBA that discourages the behavior from the ground up. Marc Deforest, Chief Executive Officer at S2, put it best saying that poor design choices lead to toxic behavior. Strife will also have a karma system that will help players rate their teammates as good, bad, or neutral in terms of contribution to the game and community. Players who are abusive will suddenly find they can no longer communicate in any game via typing or voice chat. Continued bad behavior will result in temporary or even permanent account bans. To players who are rated positively, perks will be awarded in the form of greater experience gain and resource drops. The system is simple on the surface, but the team says its complex algorithm watches for abuse and compensates by reducing the influence of players who attempt to abuse the system.